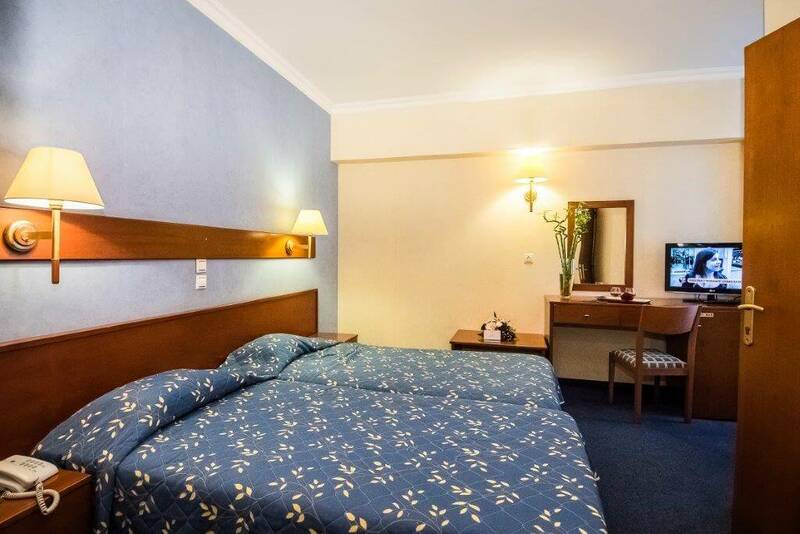 All Family Rooms are comfortable, classically furnished and tastefully decorated, providing a pleasant stay either for holidays or bussiness. 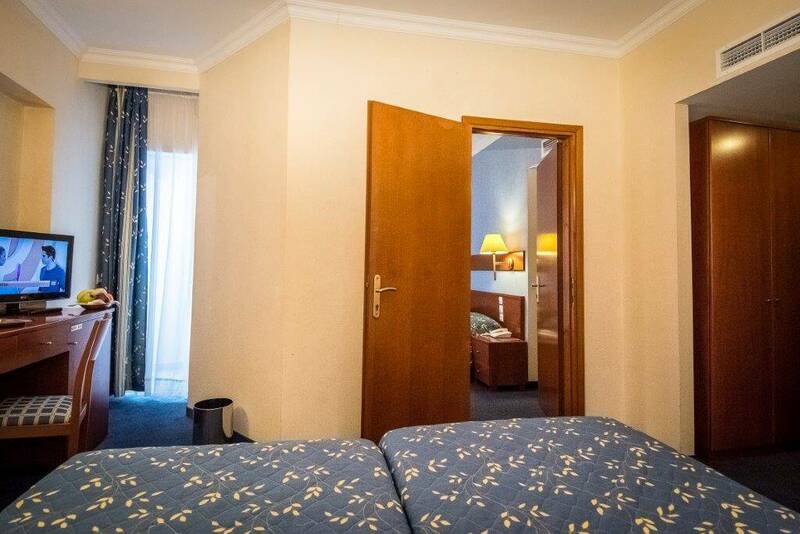 They feature two bedrooms (one with two twin beds and one with a double bed) joined by a connecting door, individually controlled air-conditioning/heating, free Wi-Fi internet access, 26” TV with satellite channels, safety deposit box, fully stocked mini bar, en-suite bathroom, hair dryer and bath amenities. 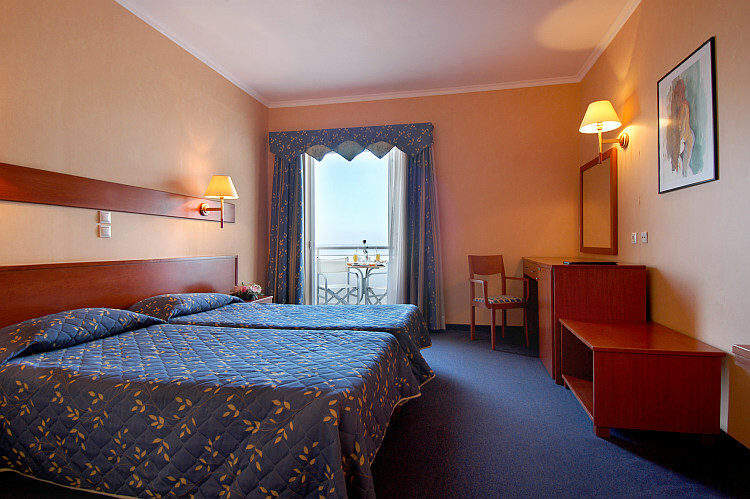 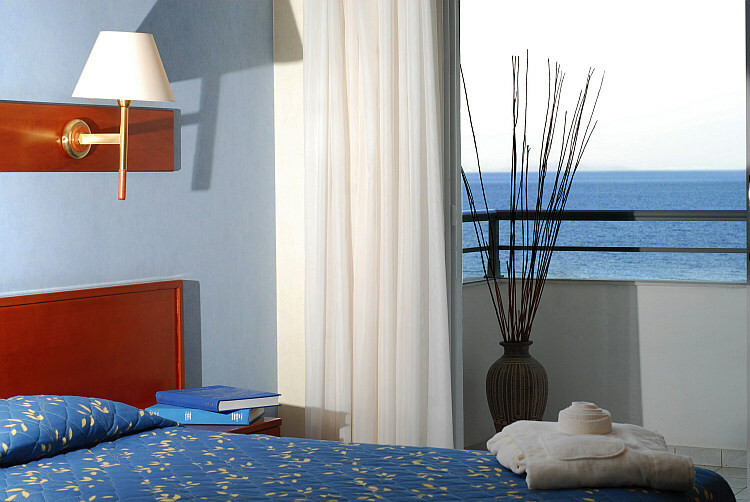 There is one situated on each floor offering a sea view and each is suitable for families with one or two children.